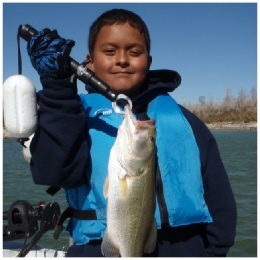 Holding The Line Guide Service offers guided fishing trips in the Salado, Texas region, focusing on Lake Belton, Stillhouse Hollow Lake, and Georgetown Lake. 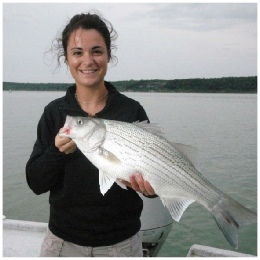 Fish species pursued include white bass (sand bass), hybrid striped bass, largemouth bass (black bass), and panfish. Techniques employed include fly fishing, light tackle spinning and casting, live shad fishing and downrigging. I cater to visitors to the Village of Salado, as well as those traveling for business or pleasure to Ft. Hood, Killeen, Harker Heights, or Temple. Copyright © 2006 - - Hold The Line Guide Service © All rights reserved. Holding the Line Guide Service is a full-time, 100% catch-and-release fishing guide service owned and operated by me, Bob Maindelle. 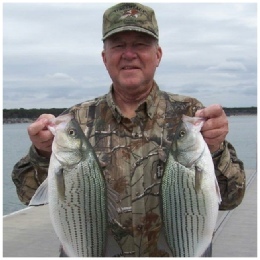 I fish year ‘round primarily on Belton Lake and Stillhouse Hollow Lake, and in pursuit of white bass and hybrid striped bass. My operation is based in Salado, Texas, from my home located at the confluence of the Lampasas River and Trimmier Creek at the headwaters of Stillhouse Hollow Lake and on its south shore. From here I am able to cater to anglers from Austin, Round Rock, Pfluegerville, Georgetown, Salado, Belton, Temple, Waco, Killeen, Harker Heights, Fort Hood, Copperas Cove and Lampasas. 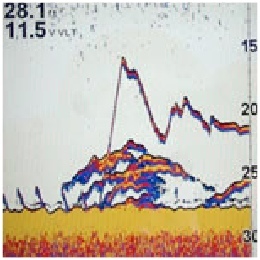 I maintain state-of-the art sonar and trolling motor equipment and rarely fish for fish that have not been detected with sonar first. Please peruse the “About” webpages for more detailed information. A guided fishing trip is literally just a phone call away. Call me today at 254.368.7411. With ongoing, rapid advances in marine electronics (sonar units and trolling motors), staying abreast of all of the technology can be daunting. I have used all manner of sonar beginning at age 14 with a portable, lantern battery-powered flasher and have kept up with each new generation of sonar as they have been developed – from flashers to liquid crystal displays to paper graphs to black and white and then colored sonar, and now on to side- and down-imaging technology breaking into the mega-Hertz realm. 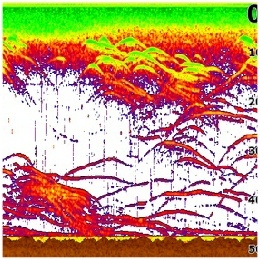 I offer on-the-water sonar training on both Humminbird and Lowrance equipment. These reasonably-priced, 3-hour sessions are conducted on your boat using your equipment so when the session is over, you keep the fruits of your labor and continue fishing with the sonar unit(s) you are now much more familiar with and confident in. 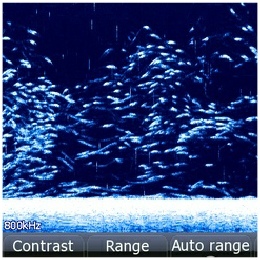 To schedule your on-the-water sonar training class, give me a call at 254.368.7411. Be sure to click on the Sonar Training webpage on this website for more information.